You know those pretty yellow puff-tops that pop up on a meadow? The humble dandelion is much more than a weed that invades your backyard every spring. It's been used as a medicinal herb for centuries across many different cultures, as early as 900 AD. Its roots and leaves are dried and used to make dandelion tea, which contain vitamins A, C and D, and significant amounts of zinc, iron, magnesium and potassium. Rich in vitamins and minerals, the dandelion contains more beta-carotene than carrots per serving. Lowly weed no more: The dandelion packs a serious nutritious punch for a plant generally thought of as a nuisance. Dandelion tea has been traditionally used in alternative medicine, according to the National Center for Complementary & Integrative Health (NCCIH). Dandelions leaves are also commonly consumed as salad greens and cooked greens. A new "superfood" drink that is getting some buzz is dandelion coffee, an herbal drink made from roasted dandelion root, which is said to taste like coffee but have the health benefits of dandelion tea. There are two parts to the dandelion: the root and the leaf, and each has its own use. Both help regulate parts of the digestive system, but the root may be best for liver problems while the leaf may be beneficial to the kidneys. 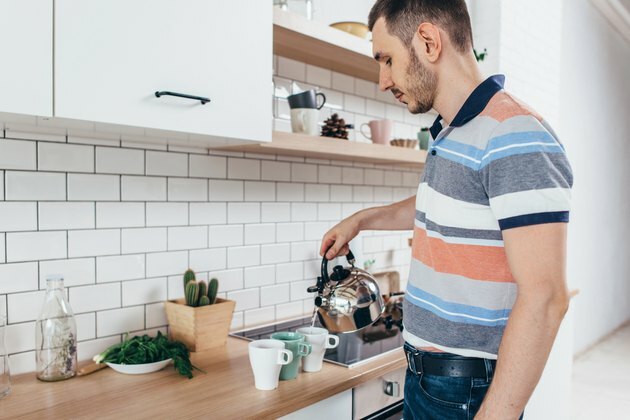 Choose your tea accordingly; however, before you begin to use dandelion tea medicinally, you may want to discuss it with your health care provider. More and more recently, there's been an increased interest in finding plant-based solutions to common ailments. And researchers are now discovering that dandelions may be able to help with some common and well-known health conditions. While there's still more research to be done, the initial studies show promise that dandelions may be more than just an annoyance. When used for help with bloating, dandelion tea has been shown have a significant effect on water content in the body because of its diuretic properties. In a 2009 study in the Journal of Alternative and Complementary Medicine, after the first two doses of the tea, participants showed a significant increase in frequency of urination. Water weight, and subsequent bloat, went down. Further research is recommended to determine how effective this diuretic ability is. Unlike prescription medication, it's high in potassium — so it replenishes lost electrolytes immediately. However, because of its potassium content, it should be used with caution for those with kidney impairment. According to Memorial Sloan-Kettering Cancer Center's Integrative Medicine Service, studies have shown dandelion to lower blood sugar levels overall. A 2016 article published in The Review of Diabetic Studies, indicates that dandelions contains a substance called fructo-oligosaccharides that can normalize blood sugar levels. There are also anti-inflammatory properties associated with dandelion, which is a contributing factor to type 2 diabetes, the authors note. When used as a detox for the liver, dandelion tea has been shown to be very effective. 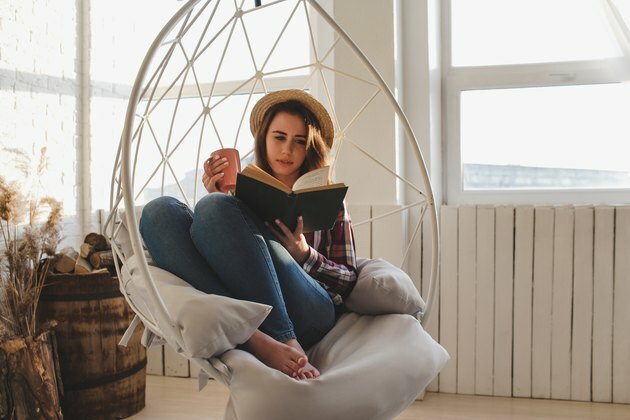 In a study published in the Journal of Pharmacy and Pharmacology, dandelion tea was shown to dramatically increase a detoxifying enzyme of the control group of animals tested. In addition, an article published in Evidence Based Complementary and Alternative Medicine lists dandelion as a plant with protective effects for the liver. More research still has to be done, but this study is a good example of how dandelion tea may actually have a real effect on liver function. A 2008 study conducted by the laboratory of biochemical and biomedical research at the department of chemistry at New Mexico Tech found that extract of dandelion root blocked the invasion of breast cancer cells. This gives some indication that dandelion root may prove beneficial in preventing the metastasis — or growth — of breast cancer cells. Another study published in 2017 in Frontiers in Pharmacology looked at the effects of dandelion root extract on the growth of cancer cells. They found that the growth of cancer cells was inhibited significantly mainly due to the high phenolic compounds in dandelion. The compounds in the root "stimulate digestion, increase bile flow and can act as mild laxatives," says naturopathic doctor Robert Kachko. This part of the dandelion works on regulating the liver and stimulating digestion. "It also may reduce the occurrence of urinary tract infections in women," says Dr. Kachko. The evidence currently on the link between dandelion and urinary tract infections is purely anecdotal. A 2017 study published in Trials indicted there is limited evidence on the use of dandelion extract in the treatment of women with recurrent urinary tract infections, but the mechanism behind the speculation is not noted. "Most conditions of the liver/gallbladder can have a use for dandelion root, but it should be prescribed by someone with training," says Kachko. The leaf is used to treat ailments of the kidneys; its main function is as a diuretic. When you take a new medication or supplement, you run the risk of side effects. Dandelion, like many other herbal supplements, can cause reactions, interactions, or health problems even if used properly and cautiously. It's always important to speak with your doctor to see if an herbal supplement may be right for your current medical condition. Dandelion tea is contraindicated with irritable conditions of the bowels or stomach (i.e. ulcers). It should be avoided in the case of bile duct obstruction. Because of its diuretic properties, it may cause a buildup of the drug lithium in the body - so avoid if taking lithium. 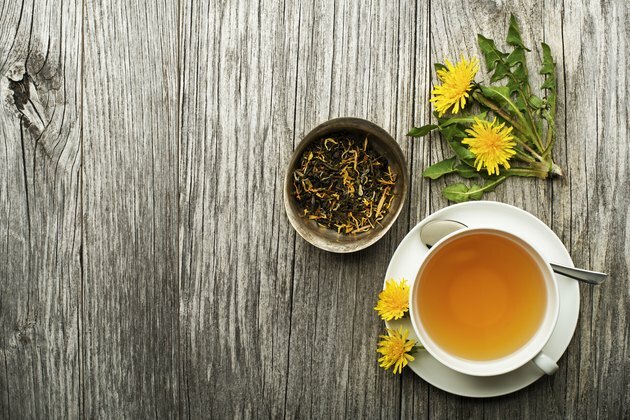 If you're pregnant and concerned that dandelion tea could cause problems, there is "insufficient reliable information available," says Dr. Kachko, so it's best to check with your doctor. It is recommended that dandelion be avoided during pregnancy. Antacids, blood-thinning medications, diabetes medication and anything else that is broken down in the liver may interact with dandelion tea. Dandelion may decrease the effectiveness of some antibiotics, such as Cipro, so it is best to avoid dandelion if taking this type of medication. The National Center for Complementary and Integrative Health cautions those who are allergic to ragweed and related plants, like chamomile, chrysanthemums, daisies, feverfew marigold, ragweed, sunflower or yarrow: Dandelions may exacerbate your allergic reaction and it may not be right for you. Taking oral preparations such as tea can cause mouth sores for anyone allergic to dandelion. Anyone allergic to iodine or latex also should also avoid dandelion preparations. An allergy to dandelion, as with many other herbs, could lead to a dangerous anaphylactic reaction. In his book Integrative Medicine, David Rakel provides details on a good ratio of dandelion to water. This tea can be consumed up to 3 times each day. Start with 1 to 2.5 teaspoons (4 to 10 grams) of dried dandelion leaves or 0.5 to 2 teaspoons (2 to 8 grams) of dandelion root in a cup. Pour over 1/2 to 1 cup water. How Much Dandelion Tea Should I Drink? Talk to your doctor about dosage. It is possible to forage for dandelions in your own backyard, chop up the roots and steep as a regular tea. However, Dr. Kachko cautions, "They should be recommended by someone with sufficient herbal training, including training in herb-drug-nutrient interactions." A naturopath or other qualified doctor will be able to diagnose and treat your conditions properly, administering the correct dose of dandelion tea to give you relief without side effects. Have you ever tried dandelion tea? What did you think? Did you know you could make tea from the roots and leaves of this plant? Were you aware of all the potential health benefits? Share your thoughts and questions in the comments below!